Fourteen months after President Donald Trump ordered all agencies to stand up regulatory reform task forces, the Defense Department is making major progress in weeding out what it views as outdated and unnecessary acquisition rules. The group of Defense officials charged with examining acquisition rules is one of three subgroups currently operating within DoD as part if its regulatory reform task force. 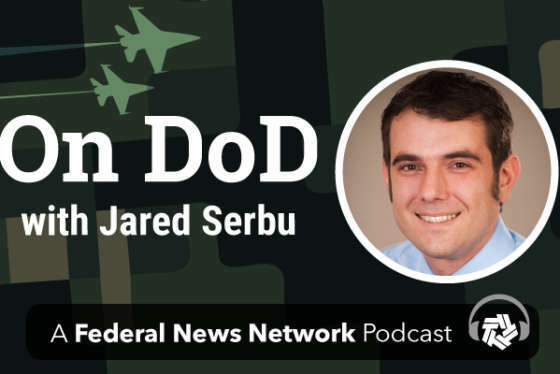 Its particular charge is to undertake an in-depth scrub of the Defense Federal Acquisition Regulation Supplement (DFARS), decide what is still relevant, and what is slowing the system down for no good reason. The review is about midway through, and so far, it is on track to reduce the size of the DFARS by about half. The group is made up of representatives from the military services, plus the Pentagon’s office of Defense Procurement and Acquisition Policy. Hoskin, speaking at a contracting conference hosted by the Association of the U.S. Army last week, said the task force has reassured senior Defense officials that the provisions it plans to recommend for change or deletion are prudent. But many of the modifications would require congressional approval. Along the way, the panel is consulting with specific elements of DoD whose mission areas are directly affected by particular portions of the supplement. The 809 Panel is a group of acquisition experts Congress created to help advise it on how to streamline the acquisition system. It is running in parallel to the work of the regulatory reform task forces, and is focused more on the changes lawmakers need to make to federal statute. Some officials, like Hoskin, are members of both panels. Maj. Gen. Casey Blake, the Air Force’s deputy assistant secretary for contracting, is another. Blake noted that the 809 panel has already released its first volume of suggestions for reform, which includes 24 recommendations, spanning more than 600 pages. There is another reason to be optimistic that the 809 panel’s recommendations will not simply gather dust. Many of the streamlining ideas it offered in the first volume of its report have already been picked up by Rep. Mac Thornberry (R-Texas), the chairman of the House Armed Services Committee, who incorporated them into the Defense Acquisition Streamlining and Transparency Act. This is a broader package of legislation he is circulating in the form of a discussion draft. Other 809 panel members said they feel the majority of their recommendations are already represented in that bill, and that they are hopeful that the rest will be adopted as part of this year’s process of negotiating the 2019 Defense authorization bill.